My first ancestor to arrive in Australia was: James Lefroy from Cork arrived on the 6 September 1832, aged 28 years. James was tried in Co Mayo for stealing a watch. A jockey and coachman by trade, he was sentenced to 7 years and sent to Port Jackson aboard the ship "Eliza". I’m an Aussie mongrel, my ancestors came to Oz from: Mainly England, then Ireland with a few Scottish and two Welsh thrown in. I have absolutely no idea of where my 3x Great Grandfather Owen Smith came from. Did any of your ancestors arrive under their own financial steam? Some came as convicts, some as Bounty immigrants, some as assisted passengers and only a couple came as unassisted passengers, while some swam. Did one person lead the way and others follow? I do know that GGG Grandfather, Michael Dillon sponsored his brother Patrick who arrived in 1855. Did anyone make a two-step emigration via another place? Not that I am aware of. Which state(s)/colony did your ancestors arrive? 16 arrived in NSW; 2 were sent to Van Diemen’s Land, and 3 landed in Moreton Bay in Queensland, but all very quickly settled in NSW. Unsure of others as I am yet to find their arrivals. Were any self-employed? My Morgan forebears, who came from Wales were skilled iron Moulders. After settling in Wallsend, near Newcastle (NSW), they set up a foundry business that seemed to do quite well. It is an area I need to research in more depth. What occupations or industries did your earliest ancestors work in? Drayman, Painter and decorator, Coachman and Jockey, Iron moulders and miners, “Man of Wars Man” i.e., a Royal Navy steward, Tobacco twisters, then lots of farm labourers. Does anyone in the family still follow that occupation? Most of the occupations that employed my ancestors no longer exist. There were two exceptions; my father’s cousin was one of the few descendants to stay on the land; taking up part of the original station, “Booroolong”, near Armidale until his death in 2005. The family had effectively worked on this station continuously from around 1850. My Roberts family also worked in the tobacco industry in its many forms from the 1840’s until the mid 1970’s. Did any of your ancestors leave Australia and go “home”? Not really, though I do wonder what happened to the convict Henry Nicholls who had a wife and children back in Canterbury, England. He disappears soon after his last child is born in NSW, and I can find no record of him dying in Australia. The brother of my Great Grandfather, though born in Australia, went to live in England when he was a young man, dying in Surrey in 1971. What’s your State of Origin? New South Wales - C'arn the Mighty Blues and Glory, Glory to South Sydney..
Do you still live there? 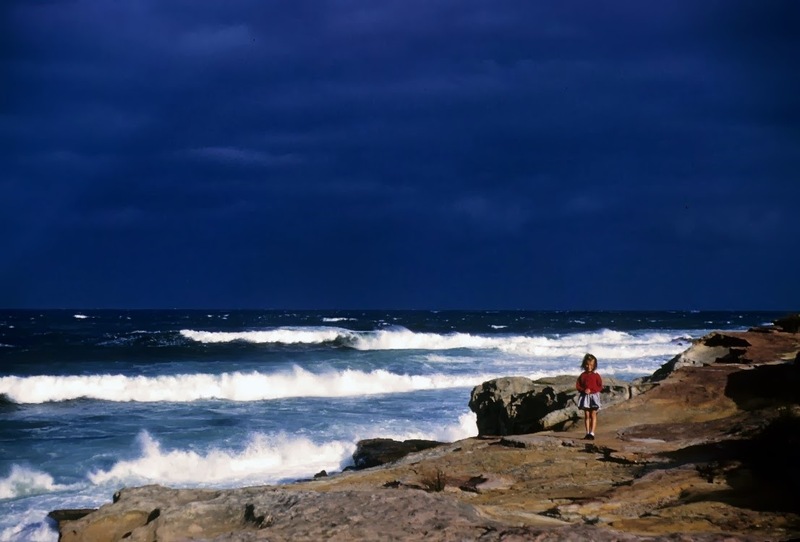 No, but I still feel like a Sydney girl, actually I still call myself a Malabar girl; the suburb I grew up in – the area is ingrained in my soul – my true home is the landscape beneath the new homes, the rocks and cliffs and surrounding ocean. Where was your favourite Aussie holiday place as a child? We didn't have many family holidays, as we didn't have a car until I was about 10 years old. Then Dad liked to travel to his home town of Glen Innes and surrounds.I preferred to stay home over the summer holidays to be near the beach and my friends. I liked the beach and there were too many trees in the country! Any special place you like to holiday now? Each year I like to travel to the Central Coast of NSW to attend my Roberts’ family reunion. 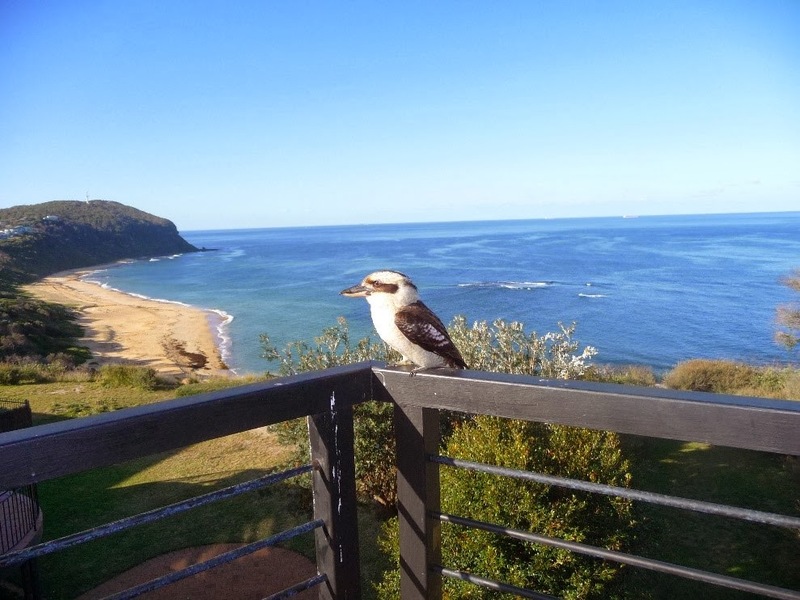 We always stay at the same holiday house at Forresters Beach. Any great Aussie adventure you've had? Travelling to Katherine in the NT with my husband who had to work there a few weeks after the flood in 1998. The whole experience was surreal but amazing. After his month of work was finished, we spent another couple of weeks exploring Kakadu and other amazing places in the Northern Territory, even though it was still technically the wet season. What’s on your Australian holiday bucket list? Broome and the Kimberley coast; A trip around NSW visiting and retracing places my family lived – especially in the New England Tablelands – I had planned to do this last year, but health issues prevented us. I can only hope that my husband becomes able to tolerate travelling distances once again. 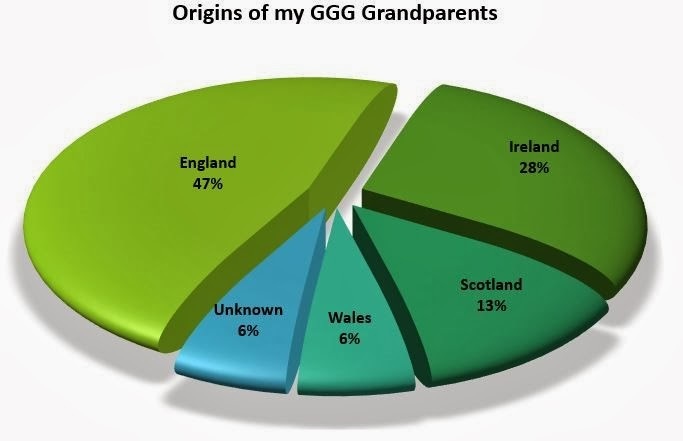 I am glad I finished this geneameme; it has taken some time and was quite difficult, but it showed just how much I don't know about so many of my direct ancestors - so thanks Pauleen, I really do have quite a bit of work ahead of me! I very much identify with your last paragraph, Linda. As yet I appear to have just skimmed the surface in regards to many of my ancestors lives. Beginning my blog two months ago has really shown up the deficiencies in my research! Thanks for joining in Linda. I think your post is a great celebration of Australia Day and our heritage. We certainly have our fair share of swimmers among us...or perhaps there was a ghost ship that they all arrived on. Love your Clare limericks (hmm that seems like an oxymoron) ! Your Dillon one is great and seems to reflect far too many of our ancestral families. Those scenes of Forrester's Beach and Malabar look just gorgeous...great place for a reunion. Great to have a reunion at all! And isn't the WA coast just spectacular. That was a spectacular flood in Katherine -it was the year after we arrived here. Sara Storer has a song about it. Happy hunting down those missing relatives. I'm intrigued by your missing Henry Nicholls. PS Best stay away from each other at Origin time.